Leaks can sprout up in any area of your plumbing system, and can become more inconvenient over time. If you think you might have a leak somewhere in your home plumbing, call Larry & Sons today for Hagerstown professional leak detection services. We will find the source of the problem quickly and repair it as quickly as possible to minimize the inconvenience. If you see water pooling where it shouldn’t be, or if there is an unexplained increase in the usage on your water bill, there’s a good chance a leak has sprung. It is important, even for the most seemingly obvious leaks, to call for professional leak detection services. 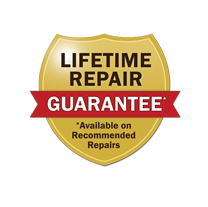 Our experienced experts have the proper diagnostic equipment that can find the source of the leak quickly so repairs can be made. While you may know the signs of a leak, you need an experienced professional to root out the source. Our leak detection professionals have access to the proper tools and equipment to get the job done correctly and quickly. So, whether you are sure you have a leak somewhere or are concerned about some anomalies on your water bill, be sure to give Larry & Sons a call today. We will be happy to do a thorough check of your home plumbing system to find and repair all trouble spots. Larry & Sons provides top quality plumbing services in Hagerstown, Frederick, and Middletown, MD areas.